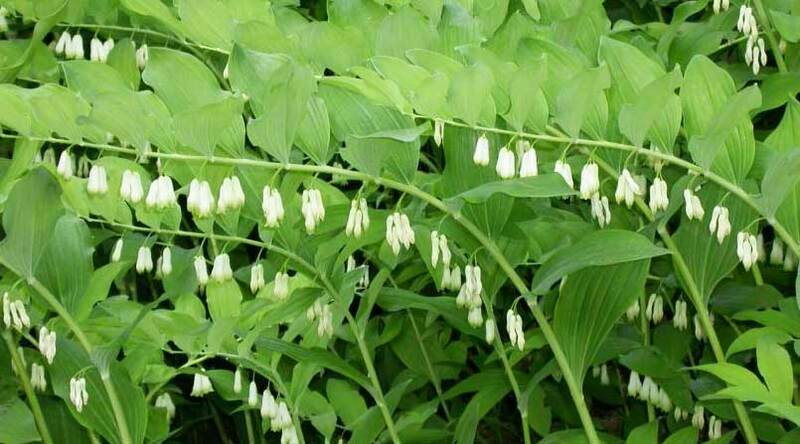 Solomon’s seal (Polygoratum biflorum or multiflorum) is a type of flowering plant. Its name is derived from the depressions found on its roots. This plant has been used for medicinal purposes for at least 3,500 years. In fact, it was mentioned in the works of Pliny the Elder (24-79 CE). It’s considered a treasure of Traditional Chinese Medicine (TCM). This plant resembles Bellflower and False Solomon’s Seal so be vigilant when making a purchase. The herb is also sometimes called King Solomon’s Seal or Smooth Solomon’s Seal. 1 Who would benefit from Solomon’s Seal Root? 2.2 Should you Consider Taking It? Who would benefit from Solomon’s Seal Root? Solomon’s Seal Root is highly beneficial especially for people involved in physical sports who suffer injury. Aside from being helpful to athletes, this herbal medicine or tea also suits men with fertility problems. It is an all-around holistic herbal medicine that is a fine all-natural remedy for many health conditions. Note, however, that its fruits are toxic, so you can only use the roots for medicinal/healing purposes. It helps heal muscular and skeletal injuries and conditions such as sprains, broken bones, herniated discs, torn or stretched ligaments and tendons, arthritis, painful or creaky joints, achondroplasia and tendonitis. You can combine it with other herbal medicines such as St. John’s Wort and mullein root for more effective results. It helps the cartilage to heal and remain resilient. It soothes inflammation in the body’s connective tissues. When used as a tincture, 5 drops of Solomon seal extract can exhibit benefits. You can mix it with oils and use the mixture by topically applying it over sprains, bruises, wounds etc. It also helps heal pimples and sunburn. The mucilaginous root helps reduce inflammation in the lungs, airway and intestines. It can help with male fertility and female reproductive health. Expertly extracted Solomon's seal ALCOHOL-FREE liquid extract! To purchase an Alcohol-based version of this extract please follow this link: http://www.amazon.com/gp/product/B00KLGV6JM/ (Copy and Paste the Link into a Browser Address Bar). Solomon's seal Glycerite contains ONLY natural ingredients! Alcohol Free! Gluten Free! Non-GMO! 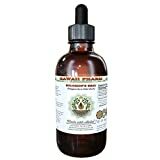 High Quality Solomon's seal NON-Alcohol liquid extract - we use classic conventional methods of extraction! We meticulously produce our extracts according to precise standards where each herb is extracted according to the distinct characteristic of each plant! Highest Strength, Super concentrated Solomon's seal liquid extract! Solomon's seal tincture contains ONLY natural ingredients! 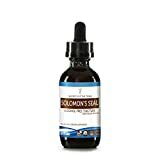 High Quality Solomon's seal liquid extract - crude extract of first extraction! We meticulously produce our extracts according to precise standards where each herb is extracted according to the distinct characteristic of each plant! These beneficial substances allow Solomon’s seal root tea to heal a variety of ailments. Overall, it is demulcent, vulnerary, diuretic, anti-rheumatic, anti-inflammatory, adaptogen and an expectorant. The benefits of Solomon’s seal, especially in terms of improving the overall health of both men and women of all ages, are considerable. Plus, you can take it in several ways: as a raw root, tea, salve, spray, dried extract powder or herbal tincture. With an increasingly stressful lifestyle, it is helpful to take advantage of what nature has to offer. I’m currently doing research on how Solomon’s Seal Root can aid weight loss and will be updating this article when it’s completed so please check back soon. I’ll also be posting detailed instructions with pictures of how to make a tea or tincture in your own home. There are very few, if any, published scientific studies and clinical trials on this herbal root’s medicinal uses so I’d be very interested to to hear of any first-hand experiences. Please share anything you know in the comments below. We’d love to hear from you! alcohol, glycerin)? I am most curious about alcohol extracted tinctures. Thanks to all who consider this question. General rule of thumb is 3 to 5 years BUT THIS VARIES GREATLY. Lifespan depends on many factors including storage temerature, oxydation & humidity, light, as well as he peculiarities of the specific herb/herbs used. All are best stored in a cool, dry, dark place. Larger containers allow more oxygen and humidity in every time you open them. Best way to store tinctures from a large bottle is to re-pour them into smaller bottles and fill all the way up the neck. This limits air in the bottles and you only open and close the one you are using so it gets used up fast. I save for reuse all the brown bottles that come my way, especially the 1 and 2 oz. sizes with droppers. 50% alcohol. Shake daily for dry macerations..
ones without the droppers to taint it. be called starchy, but hops are voluminous. as dry herbs, like SJW, Lobelia, and Capsella. > because they would cause a bad reaction, or just negate each other? German Chamomile, Matricaria chamomilla, is very high in azulene. That’s what makes the essential oil blue. Wonderful stuff! but I don’t like the taste all that much. That is inflammation as in gut upset, UT infection, flu, etc. it’s in the Lamiaceae alright. pretty, so I let that grow. it very easy to find if you know where to look, so I use that. Stachys officinalis (betony) has to be garden-grown, here. way around? Anyway, they’re all anti-inflammatories. sinusitis and the like too. Milky Oats if its part of a longterm formula. See, anti-inflammatories. And infections give inflammations. Henriette, don’t I recall you mentioning you used Ground Ivy for tinnitis? wood betony than lamb’s ear even though they are in the same family. herbal Lamb’s Ear as it is astringent, mildly antibacterial and (when dried as whole leaf) absorbent, it was used as a packing for deep stab-type wounds (such as knife and sword). It absorbed drainage, kept the wound open so it closed from the bottom, and help reduce inflamation and fight infection. I love Lamb’s Ear plant. bring in flexibility and lubrication to the joints? No, really . . . where else?? would *you *do in this situation? I use Shatavari interchangeably with Solomon’s Seal. The root of garden Asparagus works too. Something about those Aparagaceae family sweet tonics . .
> Some herbs are a lot harder. Solomon’s seal is a tough one – where else can > you get that deep affinity for the connective tissues, that ability to> bring in flexibility and lubrication to the joints?> > No, really . . . where else? ?> > Today I made an attempt, by including a mix of *evening primrose, pink> lady’s thumb, and japanese knotweed* in the place I’d usually call on> sol’seal. We’ll see how it turns out, but in the meantime, I wonder: what> would *you *do in this situation? I’d go with horsetail (for connective tissue) + marshmallow (for water lubrication), and up the intake of fatty fish (for fat lubrication). But then, I also do nettle + rosehip for achy joints (it’s a nice nourishing, anti-inflammatory mix), so throw that in as well. One of my favorite herbal subjects. I first learned Solomon’s seal from books and was attracted to its story. My experience with it revealed less of the effect than I had expected. Michael Moore spoke about Smilacina (Maianthemum) as a substitute for Solomon’s seal. As my experiences grew with Smilacina species I found they were quite distinct from Polygonatum species. Smilacina have a bitter/acrid aspect that provides for a very dynamic effect. In relation to Ayurvedic humoral theory it possesses a strong Bile effect. So, it moves blood, relieves stagnation, thus relieving pain. This also presents as a mild cardiac stimulating effect, opening the lungs(improves struggles with altitude) and slightly stimulating kidney function. Although both rhizomes have been eaten traditionally, Polygonatum is sweeter and more demulcent, in my experience.